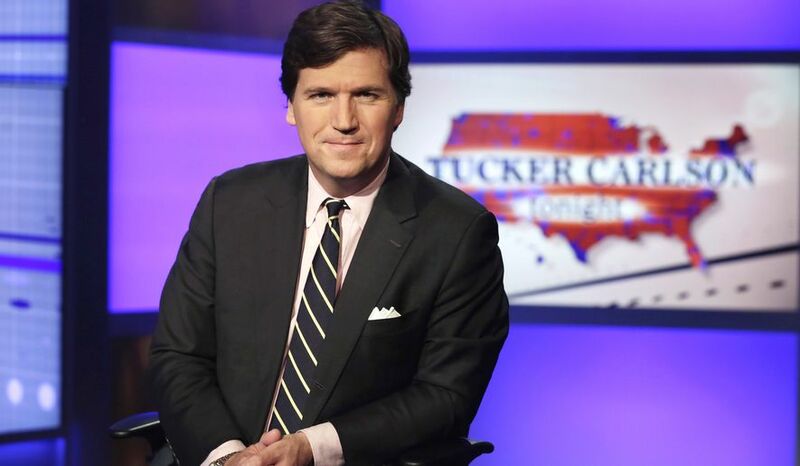 Washington - Police say they are investigating a protest and vandalism at the home of Fox News host Tucker Carlson as a possible hate crime. It’s the latest example of protesters targeting the personal lives of Trump administration officials and allies in the D.C. area. There were no arrests but police confiscated several signs. The report lists the incident as a “suspected hate crime” on the basis of “anti-political” bias. Wednesday’s incident prompted reactions from across the political spectrum. A statement released by Fox News called it “reprehensible” and called for more civil discourse at a time of intense political polarization. Former Fox News anchor Megyn Kelly tweeted that the incident was “stomach-turning” and late-night talk show host Stephen Colbert, a frequent critic of Trump and Fox News, also condemned it on Twitter. The dems are full of hate. These animals should must be rounded up. I don't know why the FBI and/or Attorney General isn't doing anything about Antifa. Because they fear the black shirts. Wikipedia states he has 3 daughters and a son but gives no ages. Judging from his age, at least some are "children". How come the child victims here aren't mentioned?